Basically they are all the same. 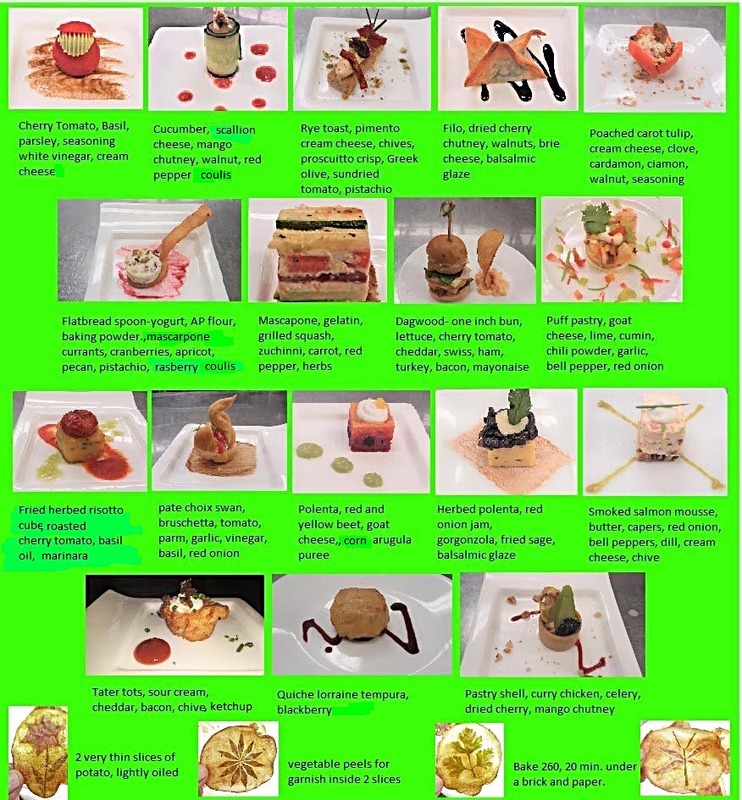 There are endless combinations to create these wonderful tasters, so let your creativity soar. The only criteria is that what ever you prepare it must be one bite! The Amuse is considered to be the most elegant and complex, while the term Hors d oeuvre usually refers to chicken fingers or egg rolls and the alike. Canape is usually refereed to cold one bite morsels. All should be able to be eaten by hand with no utensil. Eggplant Caponata; Diced Eggplant, Olives, Capers, Tomatoes, Pine nuts. Crostini, Diced Plum Tomatoes with garlic and capers; Olive tapenade; Eggplant Caviar. A Shooter is usually a 2 ounce tall cup similar to a shot glass. All cold soups can be served and garnished with an array of vegetables and seafood. Shooters can also be created with any puree that tastes great cold. Remember, people eat with their eyes first so always garnish to add appeal as well as flavor and texture. Below are a couple favs.